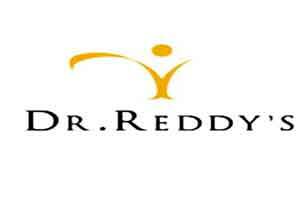 Drug major Dr Reddy’s Laboratories (DRL) on said its US subsidiary Promius Pharma has received USFDA approval to market Sernivo spray, used in treatment of skin disorder. The company added the commercial launch of the product is planned for the coming quarter. Dr Reddy’s Laboratories Co-Chairman and CEO G V Prasad said: “The FDA approval of Sernivo Spray is a significant milestone for Promius as it validates our committed efforts and resources to developing differentiated dermatology products from concept to commercial launch. The company added that Promius has conducted two multi-center, randomised, double-blind, vehicle-controlled clinical trials in subjects aged 18 years and older with moderate plaque psoriasis to evaluate the safety and efficacy of Sernivo Spray. “As an emerging leader in the dermatology space, we are committed to developing innovative treatment options and support services for clinicians and patients. The approval of Sernivo emphasizes our ongoing efforts and we look forward to a successful launch of Sernivo Spray in the coming quarter,” Dr Reddys Executive Vice-President of Proprietary Products and President of Promius Pharma Raghav Chari said.